Smart King 1500VA, Line Interactive UPS Technology, Pure Sinewave PSW, Tower, LCD Display, IEC outlets, Serial & USB interface for Upsmon Software Communications, Web Card Slot, External Battery Connector and 2 Year Warranty. Dimensions (mm): H226 x W170 x D450, 25kg. Smart King Rackmount 800VA, Line Interactive UPS Technology, Pure Sinewave PSW, LCD Display, IEC Outlets, Serial & USB interface for Upsmon Software, Web Card Slot, External Battery Connector and 2 Year Warranty. Dimensions (mm): H84 x W483 x D430, 18kg. Smart King Rackmount 1250VA, Line Interactive UPS Technology, Pure Sinewave PSW, LCD Display, IEC Outlets, Serial & USB interface for Upsmon Software, Web Card Slot, External Battery Connector and 2 Year Warranty. Dimensions (mm): H84 x W483 x D430, 23.5kg. Smart King Rackmount 2000VA, Line Interactive UPS Technology, Pure Sinewave PSW, LCD Display, IEC Outlets, Serial & USB interface for Upsmon Software, Web Card Slot, External Battery Connector and 2 Year Warranty. Dimensions (mm): H130 x W483 x D381, 43.2kg. 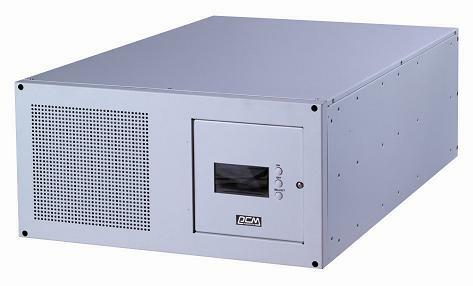 Smart King Rackmount 3000VA, Line Interactive UPS Technology, Pure Sinewave PSW, LCD Display, IEC Outlets, Serial & USB interface for Upsmon Software, Web Card Slot, External Battery Connector and 2 Year Warranty. Dimensions (mm): H130 x W483 x D500, 43.2kg.